The month of August wouldn't scream of total disaster if you just looked at their overall record of 13-14 for the month. If you remove the four straight wins to begin the month, though, it paints a different picture. 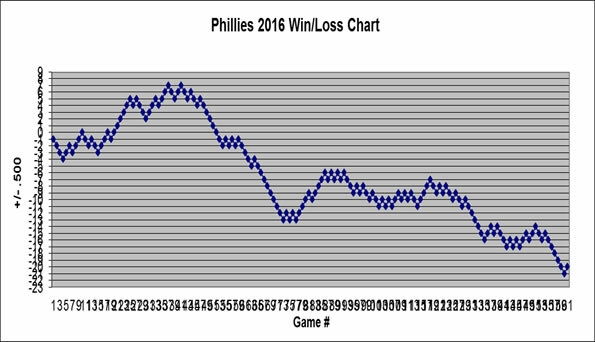 After sweeping out the lowly Marlins in four games at home, the Phillies DID NOT WIN WON MORE SERIES IN THE MONTH. They went through a stretch of 8 losses in 10 games to the Mets, Nationals, and Blue Jays, three teams who will watch the postseason from their couches. Those losses put the Phillies as far back as 4.5 games behind the Braves. And they way they lost. Mercy. It was just one gut punch after another. When the Phillies coughed up another lead en route to another series loss against the Nationals on August 28, it was just another in a long list of they-can't-come-back-from-that losses. Despite all the losing, all of the devastating losses, all of the non-existent offense, and all of the sloppy defense, the Phillies still finished within 2 games of the Braves. 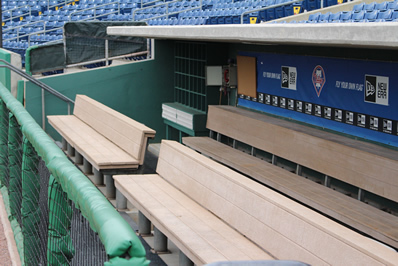 With 7 of their last 11 games coming against Atlanta, the Phillies are not out of this by any stretch of the imagination.